An investigation approach to build skill development in numeracy. Literacy blocks with opportunities for sustained reading and writing, and teach spelling through the Sounds Write program. An inquiry model to explore big ideas and learning in Science, HASS, Arts, Technology and H&PE. Italian to teach the Languages Curriculum. The language of Learning Assets, modelled on Kath Murdoch’s research, to help students to learn about ‘how they learn’. The Canberra and Goulburn Religious Education Curriculum. And regular visiting coaches for tennis, gymnastics, and dance. 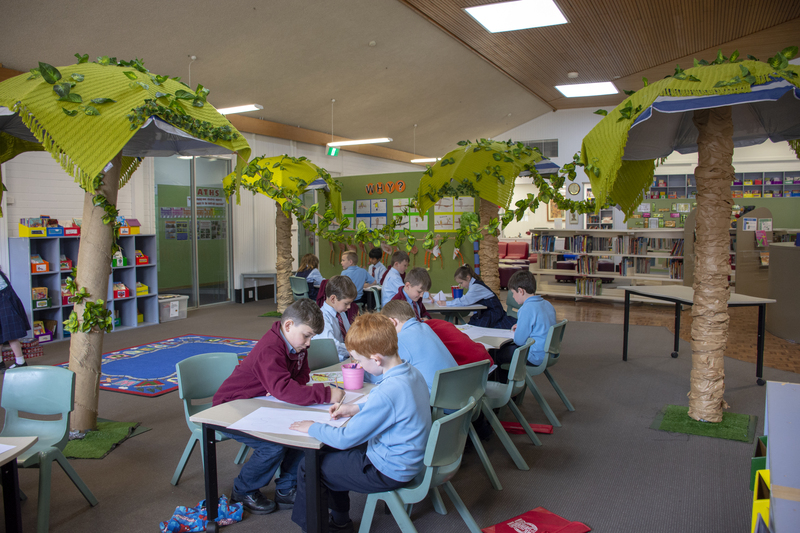 Sacred Heart is committed to providing high quality education which reflects 21st Century learning and that meets the ICT requirements of the Australian Curriculum. Therefore, we provide students with purposeful access to ICT that increases their participation, engagement and achievement in education. We have a wide range of equipment to support learning in each classroom. Our students from Year 3 to 6 also participate in Sacred Heart BYOD program. Students bring their own iPad to school, or access one from the school, to use as an extra tool in their learning. All classroom programs are differentiated to cater for a range of abilities and learning styles. Our teams of teachers and classroom learning assistants work with children requiring additional assistance in literacy, numeracy and other personalised needs. Members of the team also develop programs for children requiring extension. These extra programs may be in-class or on a withdrawal from class basis. 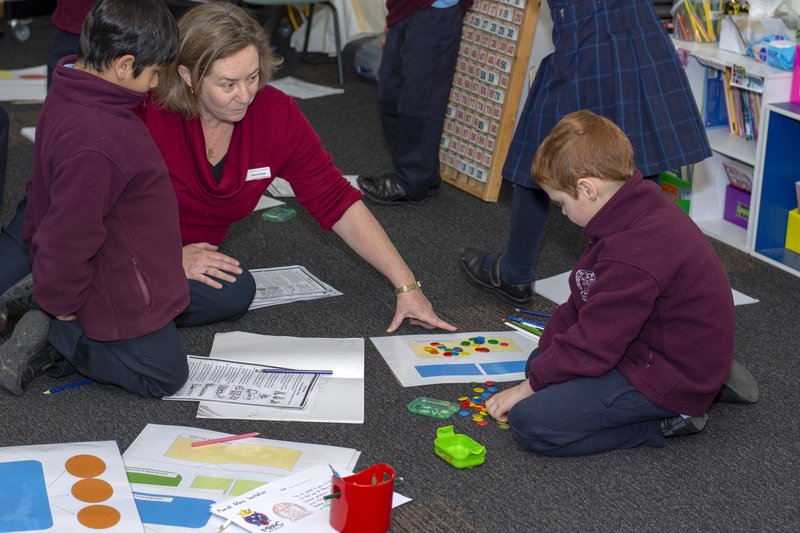 Sacred Heart staff report regularly to parents about their child’s progress in a range of formats. Reporting includes a first term interim report, two formal written semester reports, parent-teacher interviews, learning journeys, student-lead conferences and special work exhibitions. Interviews may be arranged at any time by parents or staff. The Leadership Program commenced in 2010 and since then has become a significant part of the daily life of Sacred Heart, as well as an integral part of developing leadership qualities and strengthening relationships in all Year 6 students. The students nominate themselves for a particular role they identify personal strengths in or are interested in. They can nominate to be an Environment, ICT, Social Justice or Sports Leader. Students write letters to formally apply for a Leadership Role and once appointed they begin their training to fulfil their responsibilities within their community. We also vote to elect School Captains each year and Year 6 students train as Peer Support Leaders. At all levels we offer students enrichment within their own classroom, but also in mixed groups during our Enrichment Program. We have made a significant investment in STEM equipment and our MakerSpace, using money raised through fundraising. Students are learning to code, use robotics, undertake engineering tasks and complete mathematical investigations. We also have a focus on environmental sustainability with recycling, composting and gardening programmes. We offer a number of activities which cater for a diverse range of learners. 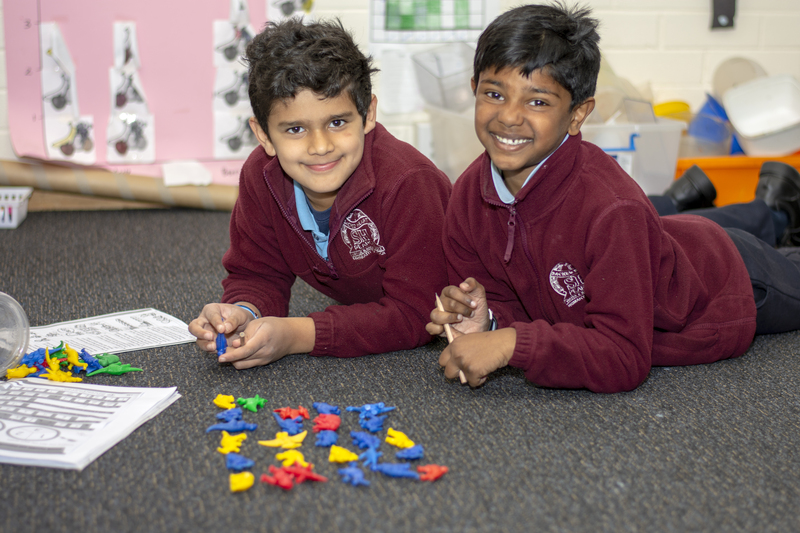 During the week students have the opportunity to participate in activities such as the gardening club, social justice with Mini Vinnies, lego club, maker space and tennis. Our school fees include an Activity Levy which allows us to host excursions or incursions each term; swimming, dance and gym and other sports including cycling and orienteering. We offer School Choir and Rhythmic Heart percussion, Tournament of the Minds and ICAS testing. Students in Years 3-6 attend an annual overnight camp. We participate in the ACT PSSA events, for both individual and team sports. Students can choose to play a weekend sport, such as netball and soccer, with a team of their school friends. Visiting tutors offer programs including piano, guitar and chess. These are arranged with families, who enter into a private contract with the provider. Details are found in the newsletter or by contacting the office.